HOPE Therapy and Wellness Center is thrilled to announce the opening of its new therapy and wellness center in Springfield. The center’s team is dedicated to helping each of its clients achieve Happiness, Optimism, Perseverance, and Engagement by offering a variety of therapy services. Springfield, VA, 07/25/2018 – HOPE Therapy and Wellness Center is thrilled to announce the opening of its new therapy and wellness center in Springfield. The center’s team is dedicated to helping each of its clients achieve and maintain Happiness, Optimism, Perseverance, and Engagement by offering a variety of therapy services that effectively treat a diverse range of clients. While HOPE offers traditional in-office therapy, focusing on treating people living in the Northern Virginia area, the center also offers online therapy utilizing a confidential video conferencing platform. The online setting allows clients to log on and receive therapeutic support from anywhere there’s an Internet connection and a computer, with the help of easy-to-use platform that is free to access. HOPE’s team is a small group of practitioners, that covers a range of specialties including Depression, Anger Management, Impulse Control, etc. in order to provide trusted counseling services to each unique client. Additionally, the center has a focus on supporting adults and teens with addiction, trauma and anxiety. Potential clients can learn about HOPE’s team on their website. Paula Welsh, HOPE’s CEO, has spent her career working to destigmatize mental illness and substance abuse disorders. The stigma associated with these illnesses causes people to defer treatment for prolonged periods of time, if not indefinitely. “At this point, the stigmatization of those suffering from a wide range of disorders is causing permanent damage to our society. Given the increasing death toll presented by the opioid epidemic, we are determined to do our part to help those in need get the necessary support. As such, we will be focusing on inclusive group therapy by way of psycho-educational groups, and recovery groups for teens and adults beginning in August. With us, our clients will find a safe space with empathetic therapists where they can be free of judgement, so they can learn to thrive,” noted Welsh. The HOPE Therapy and Wellness Center offers Individual therapy, Group therapy, Family therapy and Couples therapy. Group therapy offers a beneficial treatment option at a reduced rate. Currently, the center accepts all Anthem Blue Cross Blue Shield products and self-pay. The center will accept Aetna, United, Tricare, Aetna Better Health, Carefirst, Cigna and Magellan in the near future. HOPE Therapy and Wellness Center is Springfield’s modern mental health center. The center is home to experienced practitioners who focus on therapies that offer proven results through a variety of techniques that inspire HOPE in clients and their families. 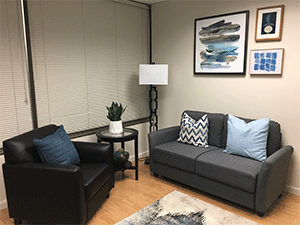 At HOPE Therapy and Wellness Center, clients will find a range of restorative options in a comfortable setting, whether they seek in-person or online appointments, to help ease their suffering as they take steps toward recovery.